Cavalier rolls a critical hit! 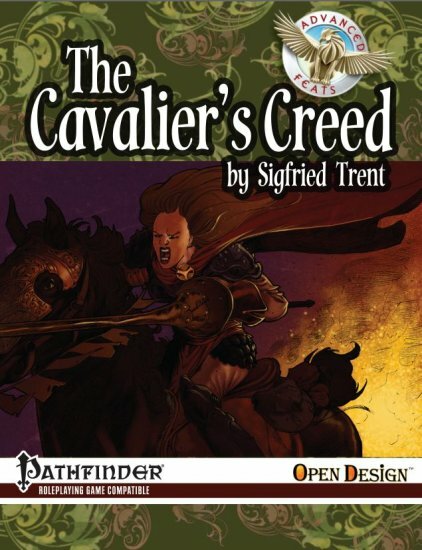 Open Design just put out my latest Advanced Feats book, The Cavalier’s Creed. It took a little longer than some of the others but the extra work seems to have paid off with some killer reviews. Folks like the feats and all of the reviewers so far praised their balance which is the gold standard I’m reaching for but don’t always hit on. Anne also knocked the layout out of the park and our cover artist delivered a great piece of work. All and all I’m much pleased and engaged in the next in the series.